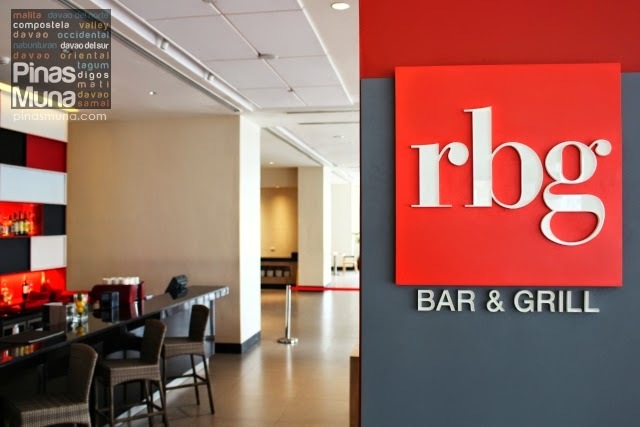 RBG Bar & Grill is an all-day dining restaurant located at the ground floor of Park Inn by Radisson Davao. Last November 2013, the restaurant team was joined by its new Executive Chef, Chef Jayme Natividad, who introduce some new and exciting dishes in the restaurant's menu that feature the local flavors of Davao. During our recent visit to Davao City, we were invited by Park Inn by Radisson Davao for lunch to sample their new Davao-inspired dishes. First to be served was the Seafood Sinigang sa Mangosteen. You heard it right! It's sinigang using mangosteen as pampaasim. 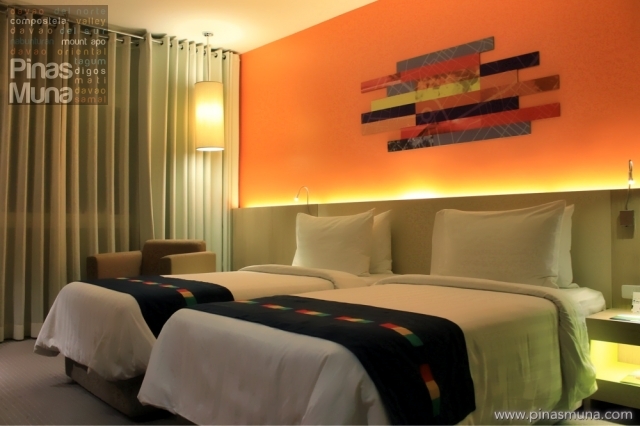 Nowhere else you can find it but here at Park Inn Davao. I am a big fan of sinigang. I developed this adoration to sinigang when I was a child, and up until now, I still love sinigang. That is why I always get excited when I discover new versions of this all-time classic Filipino dish. 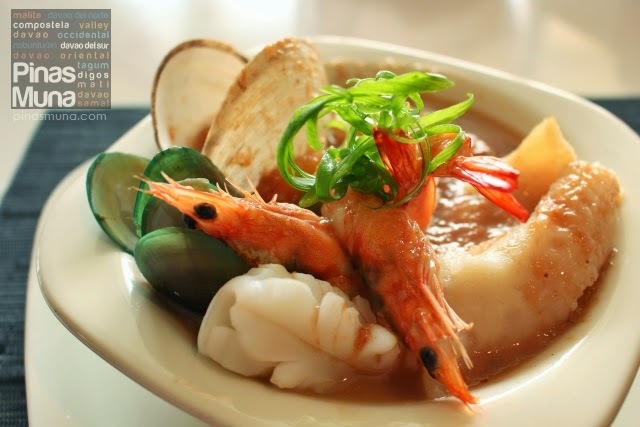 This dish features not only the mangosteen that grows in abundance in Davao, but also the bountiful seafood available in the city such as fish, shrimps, squid and shellfish. How does it taste? It has the perfect asim ng sinigang that I like but it also has an interesting mildly-sweet and fruity aftertaste of the mangosteen which perfectly matched the medley of seafood cooked in this broth. Next was the Malagos Ricotta Meatballs. I instantly noticed the big smile on Edgar's face. He loves meatballs, and it was not surprising that he loved the Malagos Ricotta Meatballs. 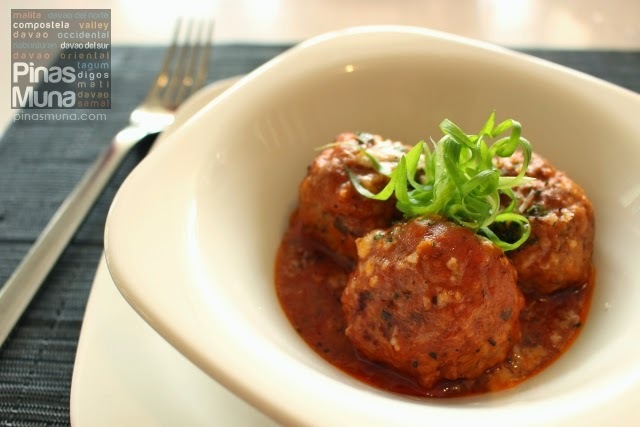 Unlike the usual meatballs that are fried, ricotta meatballs are cooked in tomato sauce. The ricotta gives the meatballs a light and tender texture. The meatballs are also perfectly flavored with herbs. This dish highlights the Ricotta whey cheese locally produced in Davao by Malagos Farmhouse Cheeses. Next dish was the Pasta de Davao, a pasta dish made of fettuccine with a cream-based sauce mixed with bagaybay (tuna gonad), bihod (tuna roe) and tuna flakes. It is then served with imbao, a local shellfish. The sauce was very balanced, it wasn't salty and the fish flavor was not overpowering. If you love spicy food, I recommend adding some chili flakes to this pasta dish, and I guarantee that you'll love it even more. The imbao was very plump and juicy, indication of its freshness and high quality. This dish is big enough for sharing. I actually want to eat more, but I was sooo full already and I am reserving some space for dessert. 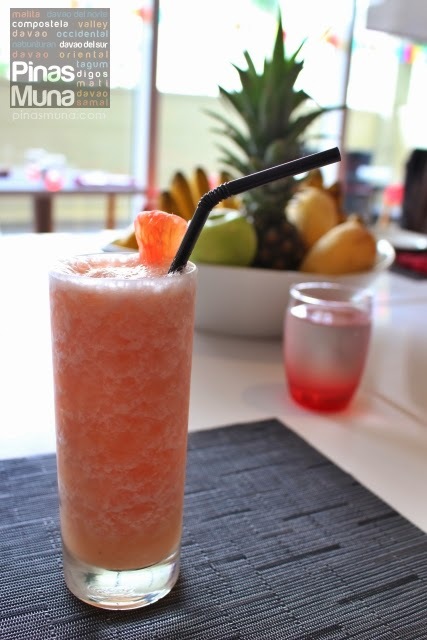 To wash down all the flavors, we order the very refreshing Pomelo Shake. It was perfect for the hot summer weather that day! We enjoyed the taste of fresh Davao pomelo in every sip of this drink. Finally, we are ready for dessert! When you think of Davao dessert, the first thing that will come to mind is Durian cheesecake. Well, sorry guys, we're not having Durian cheesecake this time. Rather, let us introduce you to an even more intriguing dessert. Ladies and Gentlemen, introducing Park Inn Davao's very own Mangosteen Cheesecake! 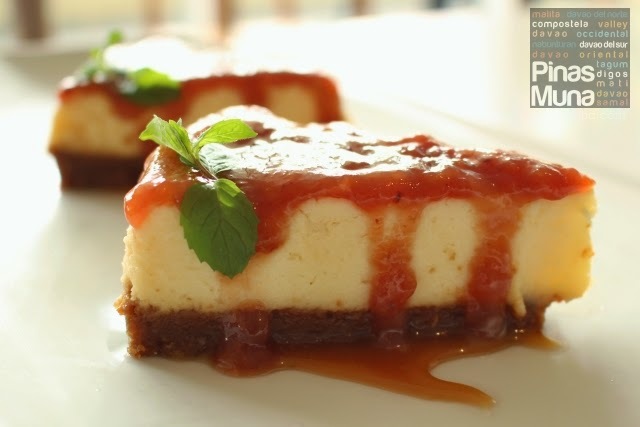 The mangosteen syrup was sweet and has a hint of sourness that goes very well with the cheesecake. It's just amazing how versatile mangosteen is as an ingredient in cooking, but credit all goes to Chef Jayme for his culinary creativity. It was indeed a lunch that was full of gustatory discoveries and adventure. 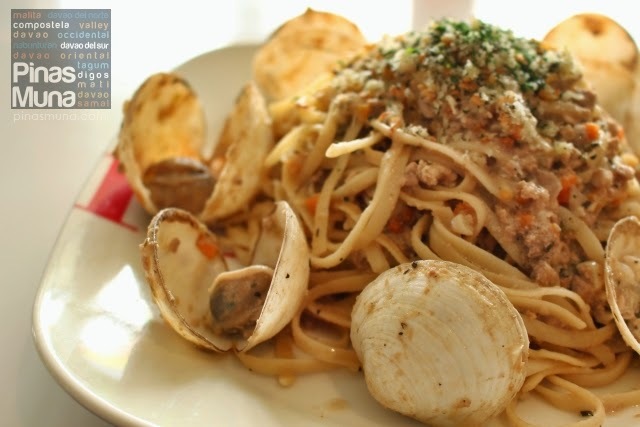 RBG Bar & Grill has defined Modern Davao Cuisine through its new culinary creations. Thank you very much for having us RBG Bar & Grill and giving us the chance to sample Chef Jayme's new dishes.